The DonJoy ComfortFORM Back Support Brace protects the back and prevents further injury during moderate, non-contact activities. Featuring a low profile design; constructed with durable mesh elastic and a molded lumbar compression pad to provide comfortable support for the Sacro-Lumbar region of the spine. 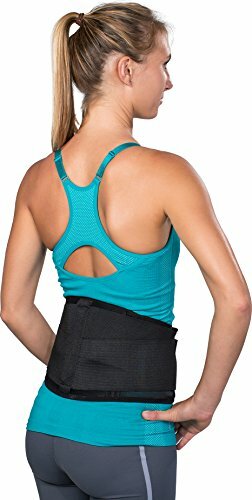 Overlapping double pull straps provide additional support to the lumbar and abdominal area to promote proper spinal alignment and helps prevent and protect injuries including strains and sprains. Silicone gripper strips on either side of back pad help prevent migration. The DonJoy ComfortFORM Back Support Brace is latex free and is recommended for moderate compression and support for injuries of the lower back and stabilizing support to help prevent spinal overload.